Yoga vs. Meditation – Which is Better? Home » Blog » Mindfulness » Yoga vs. Meditation – Which is Better? Yoga and mindfulness meditation are two practices which are intimately related. We’re often asked if we recommend yoga, or if it is a useful substitute for meditation practice. Instead of considering yoga vs meditation, we can perhaps look at how yoga and meditation can work together. First, we can absolutely look at yoga as a type of meditation practice. It can be seen as a way to practice moving meditation, and mindfulness of the body. Like meditation, there are many different forms of yoga. However, all types of yoga require some level of awareness of the body, and many of the breath. 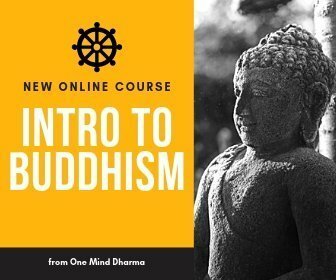 Remember there are many types of meditation, and it can be useful to investigate different techniques to see what is useful. Yoga can serve as a new way to investigate the mind, body, and breath. Instead of sitting still as we may be accustomed to, we can bring awareness to the body and physical experience in new positions and movements. During yoga practice, we are also cultivating a clear and concentrated mind. Although it looks different than what we do in sitting meditation, this is indeed a form of samatha practice, or the calming of the mind. In this sense, yoga is a great way to cultivate similar wholesome qualities that we are seeking to water during insight meditation. Yoga has a rich history, predating the Buddha and dharma. Although it has been adapted in recent years in the West (much like mindfulness/meditation), it is a deeply meditative practice. The goal of many yogic traditions is liberation, which is similar to the Buddhist idea of Nirvana. On the other hand, yoga is simply not the same practice as sitting insight meditation. Depending on the tradition and technique, yoga focuses on the body, movement of energy, and clearing of the mind. It lacks the aspect of the path the includes insight, reflection, and investigation. This is not to put yoga down at all, but rather to recognize the difference. With yoga, we can cultivate a clear and concentrated mind, especially in relation to the bodily sensations. Furthermore, we have the opportunity to look at the body in a way that we are not able to during sitting meditation. But the focus of practicing yoga is not the same as the focus of insight meditation, or other practices from the Buddhist tradition. Although yoga may not be for everyone’s body, I do think that these two practices can compliment each other quite well. I have a minor chronic medical condition with my spine that makes yoga rather difficult. I do beginner yoga classes and relaxing routines, and find it deeply beneficial overall to my practice and wellbeing. Together, yoga and meditation can work together to provide a powerful way to develop mindfulness, concentration, and some kindness toward the body. As mentioned, yoga provides us an opportunity to investigate the body in a new way. It also can give us a new way to look at our relationships to the body. This can serve us in our insight meditation practice, and in our daily lives. We learn to be present with the movements of the body, we take care of our bodies by doing yoga, and you may find that awareness of the physical body comes more easily during everyday life and sitting practice. On the flip side, formal sitting practice can serve our yoga practice. As we cultivate the ability to be present, concentrate, and respond with kindness, we can bring it to our yoga sessions. The further we deepen our insight practice, the more we will be able to get out of our yoga practice. These two different forms of practice can of course be compared. With different goals, techniques, and principles, they should not be confused as the same thing. Yoga is not a Buddhist practice, and traditional schools of Buddhism do not mention yoga practice. However, they can indeed compliment one another. And it doesn’t just end at yoga practice. I’ve also found that healthy eating compliments my mindfulness practice, or that psychotherapy has helped my meditation. Remember that sitting meditation is just one aspect of the path toward awakening. Yes, it can serve as the main vessel, but don’t be afraid to venture out to see what supports you. Enter your email address below to receive updates from our blog! Matthew Sockolov is a Buddhist meditation teacher and author. He was empowered to teach meditation by Spirit Rock Meditation Center, and is the founding teacher of One Mind Dharma. His new book, Practicing Mindfulness - 75 Essential Meditations is now available on Amazon.